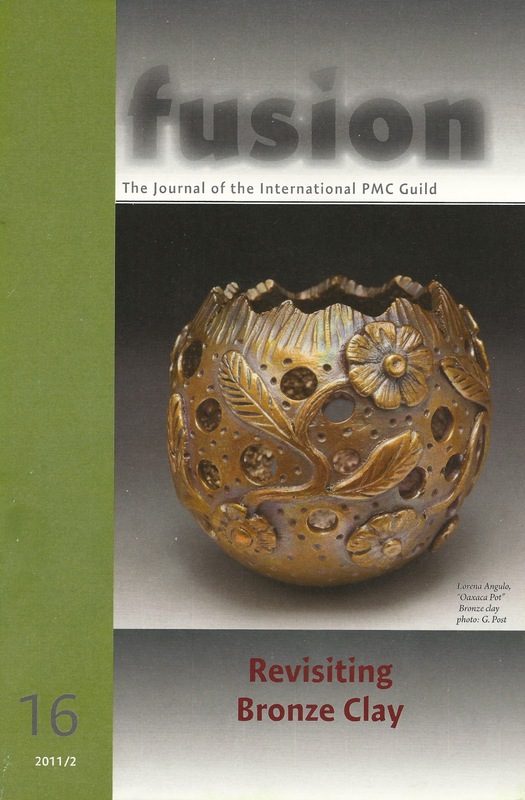 Lorena Angulo: My Oaxaca bronze pot is the cover of Fusion ! I am honored to be featured in the cover of Fusion (The Journal of the International PMC Guild) with my "Oaxaca pot". 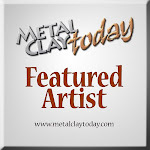 This great journal is always full of information and news about the metal clay community. There is a great article about Bronze Clay and Margaret Schindel gives a lot of information about how to work with this type of metal clay. Fusion also announced the Jurors for the Guild Annual 5. I have the honor to be one of the four jurors for this years PMC Annual. The other jurors are Bob Ebendorf, Celie Fago and Kelly Russell. 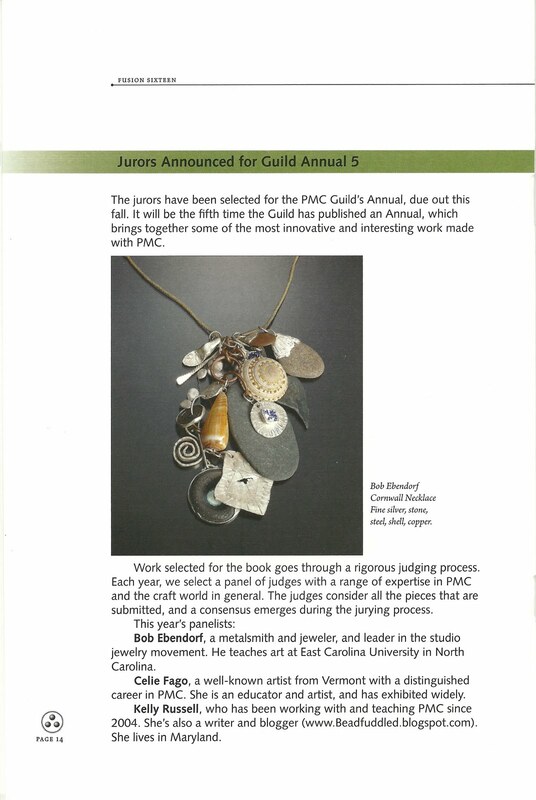 The submission deadline for the PMC Guild Annual 5 is May 16. I will be very happy to see all the amazing work by artist from around the world. You so totally ROCK this is awesome!! I am very happy for the opportunity to be part of the jurors, next to people I admire a lot like Bob Ebendorf !! Congrats! You're work is absolutlely fabulous!! congrats, that's awesome! looking forward to my copy. 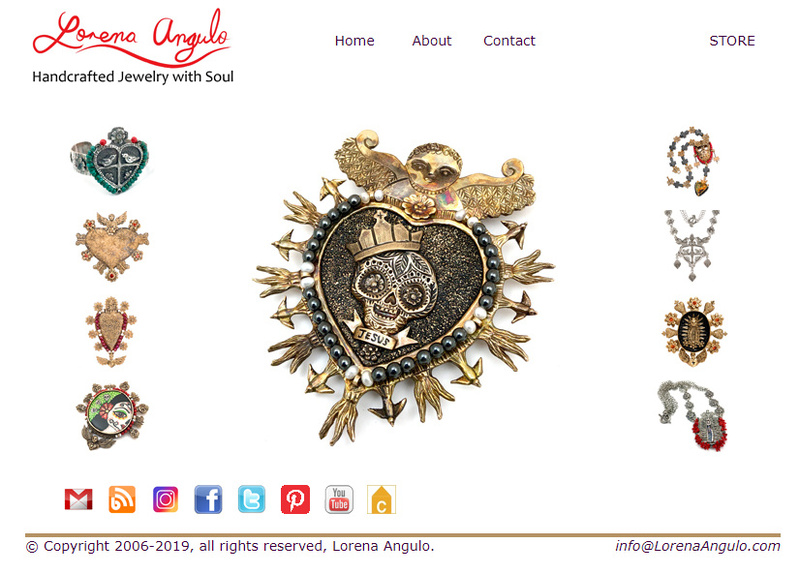 Dear Lorena, I will be glad to send to you one of hearts in clay! I also love to do hearts because they are the symbol of love that should be present in our life. So I projected a heart inspired in the portuguese country of Minho, joinning the gold metalsmithing and the embroiderings. 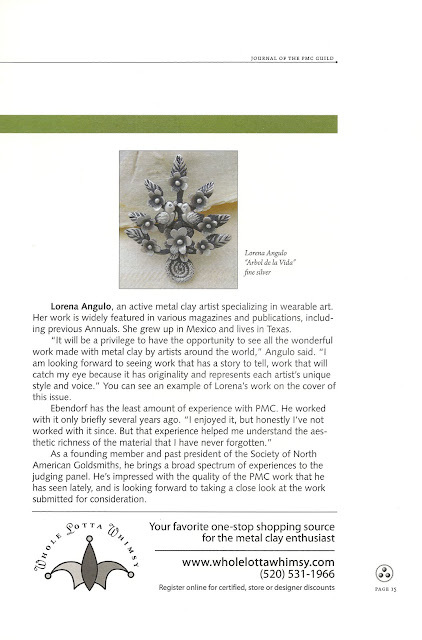 You can use it with a silver chain or as you want because they look nice with artisanal things. My e-mail is mariadanazare57@hotmail.com, for you to say the best way to send it to you.